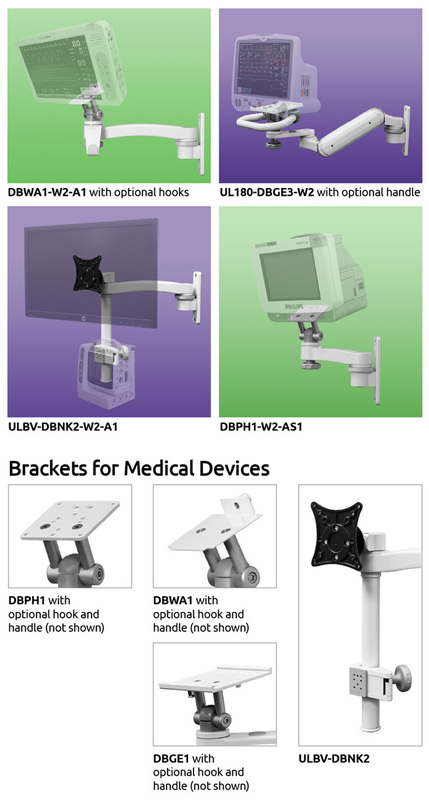 ICW brackets fit most medical devices including Nihon Kohden, Welch Allyn, GE, and Philips. Many standard and custom configurations available. Select the components that meet your needs. Complete design and customization available on-site at our facility in Medford, Oregon.